In keeping with this week's "Best of British" theme while I am in London, I just knew that I had to write a post about one of my favorite designers, Peter Dunham. 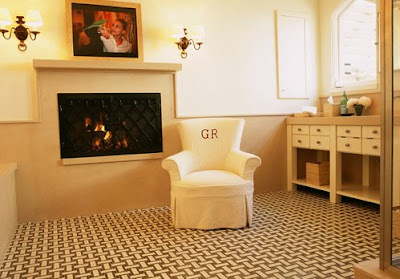 Dunham is the proprietor of Hollywood at Home, a fabulous shop filled with beautiful textiles, furniture, and accessories on Los Angeles' famed La Cienega Boulevard. 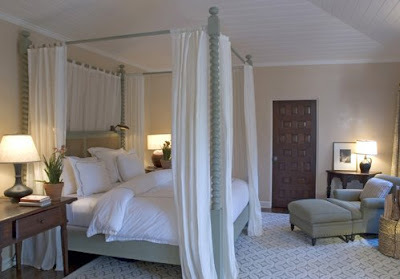 A British expat, he has created his signature style by marrying the coziness of British design with the ease of California living. The image above is what started my obsession with Peter Dunham's work years ago. I love that this dining nook in the Hollywood Hills actually looks like it belongs in a restaurant. 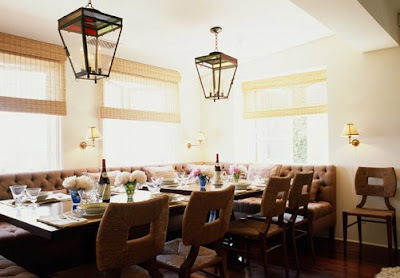 I absolutely love the tufted banquette seating and the fact that there are two bistro tables and two hanging lanterns. It just looks so special! It certainly would make any meal feel like an event. It is definitely going in my "dream home file". It seems like the perfect dining room for entertaining. 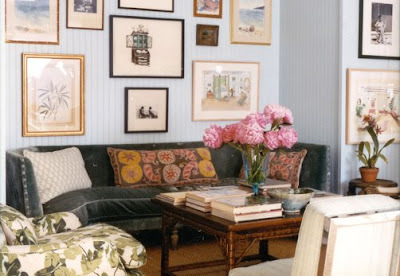 Beautiful, intimate, and inviting...just like so many other spaces designed by Peter Dunham. 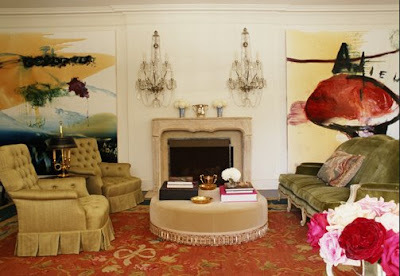 Dunham is best known for the beautiful textiles and furniture he designs. 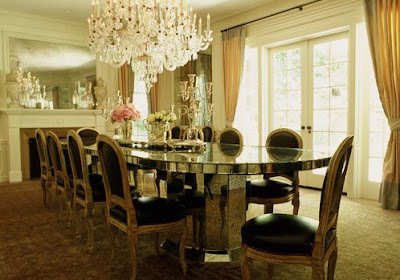 As a matter of fact, the chairs used in the dining room above are the "How to Marry A Millionaire Rush" chairs designed by Dunham. They can be seen in many of his projects. 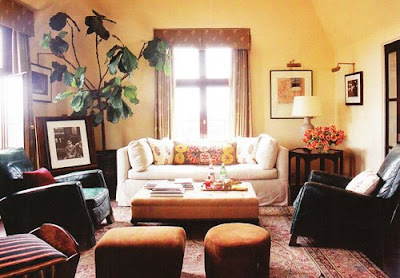 Dunham's aesthetic is described as "European flair transplanted into the heart of hollywood; Peter is a rising star in the design world and brings his unique history and palette to each project". This is perfectly fitting given his use of eclectic and ethnic textiles and patterns in his work and his impressive background. To a linguist with a serious case of wanderlust like myself, Dunham's past reads like a dream. "Peter Dunham was raised in France, spent his summers in Spain, and was educated in England. After studying modern languages at Oxford University and International Business at the American University in Paris, he moved to New York where he resided for the next 15 years." 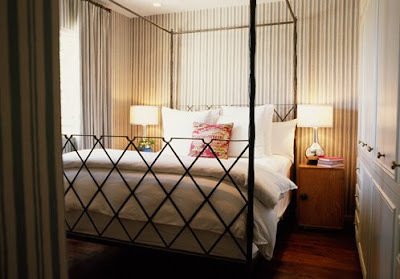 Eventually, Dunham moved to Los Angeles where he has worked on numerous high-profile residential and commercial projects since founding his interior design company in 1998. He has received countless accolades for his work from some of the top design publications and is making his mark by creating gorgeous textiles along with beautiful and inviting interiors that feel livable. 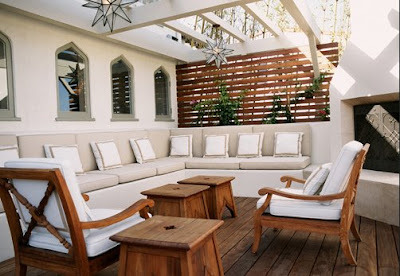 I could sit in that outdoor space all day and feel blissfully happy! Thanks for sharing. Hi Paloma, Thank you for featuring Peter's works. 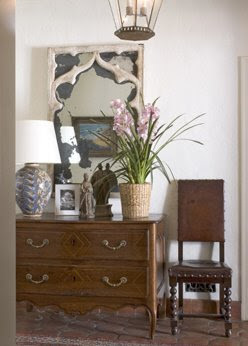 They are so well tuned and there is always a surprise element in a mixture of antique and contemporary. Raised in France, spent his summers in Spain, and was educated in England. Studying modern languages at Oxford University and International Business at the American University in Paris, moved to New York where he resided for the next 15 years. This is one very focused man! 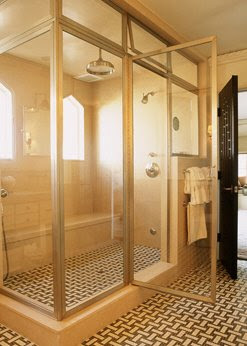 The outdoor space looks inviting, but the tile in the master bedroom and bath is stunning!